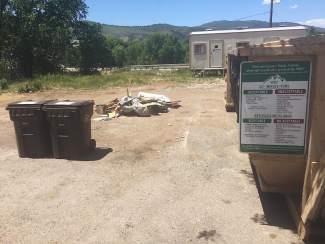 The Recycling drop-off centers in the valley are only for actual recyclable items such as cardboard, paper and co-mingle. Please dispose of all other items properly and not at a drop-off center. It is a community benefit that the county provides to the community and could disappear if it's not used right. If you have questions about getting rid of specific items email melissak@walkingmountians.org.